In today’s episode, Brandy discusses virtual Scholé Sisters groups and technology tools with Amber Vanderpol. What happens when you live in an isolated place? Are you doomed to loneliness? Or are virtual groups a possibility? And, if so, how are they best organized? What technology exists to support them? And how hard is it to learn to use these unfamiliar tools? We talk about all this and more on today’s episode. This episode is sponsored by Simplified Organization. How much crazy do you have rolling around in your head? Before you declutter your closets, you should declutter your head! Mystie’s free brain dump guide will help you do just that. By writing down all the obligations, responsibilities, reminders, random facts, and expectations that keep your mind churning, you’ll free up your mental energy so you can use it where you need it. The free Brain Dump Guide at Simplified Organization will walk you through the process with prompts and tips so you can declutter your head and move ahead with clarity and peace. Download it today. Amber Vanderpol is a mother to five children, ages 14, 10, 7, 4 and 2. She has homeschooled from the beginning, but began following Charlotte Mason’s philosophy of education about five years ago. Amber particularly enjoys her morning walk, reading great books, backpacking, and being outdoors. Amber and her family live on 10 acres in the foothills of the Sierra Nevadas in a home she and her husband largely built by themselves. 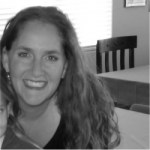 She blogs about her homeschool and Mother Culture at Flare of Light. She’s also one of the women behind Charlotte Mason West, an organization dedicated to encouraging community and connections among Charlotte Mason educators west of the Rockies, particularly through conferences and retreats. I would love to be able to subscribe on Stitcher. I don’t see that option and ca’t find you when I search there. Is that an upcoming option? Yes! We are on Stitcher, but I wonder if the accent over the e is causing trouble? Here is the link to the show. Does that help?